Holidays and weekends can be popular times at Keystone, which means your favorite runs might be more crowded than you’d like. Luckily at Keystone there are plenty of hidden gems and lesser-known groomed trails that can be a great escape. Here are our top, off-the-beaten-path groomer runs where you can find fresh powder or perfect corduroy no matter when you visit. Looking for a fun, intermediate cruising run? Look no further than Whipsaw. Located on Dercum Mountain. Whipsaw can be accessed via the more popular Spring Dipper run and provides a less crowded, but fun, cruising route down to the River Run Village. Similar to Whipsaw, Santa Fe is also located on Dercum Mountain and can be accessed via Spring Dipper. Stay to the right on Spring Dipper, scoot over to Santa Fe and head down this fast, intermediate trail that serves up an occasional set of moguls for fun. 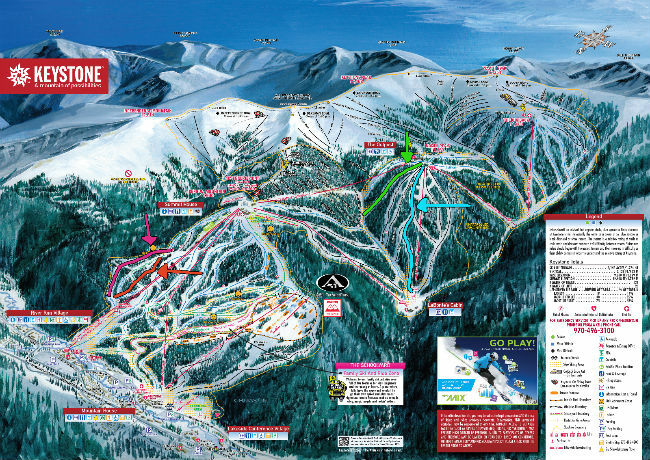 Once you get back to Keystone’s second mountain, North Peak, look for Last Alamo and its wide-open cruiser. It’s a great warm-up run on North Peak or the perfect route on your way to The Outback. Simply steer left after departing the Santiago lift and make your turns down this hidden gem. Looking for a steep groomer? Head to Starfire, a black diamond run on Keystone’s North Peak that’s usually groomed. Turn left off the Santiago Express lift and point ’em down for a fun, fast and direct route down to the Labonte’s Beach area. 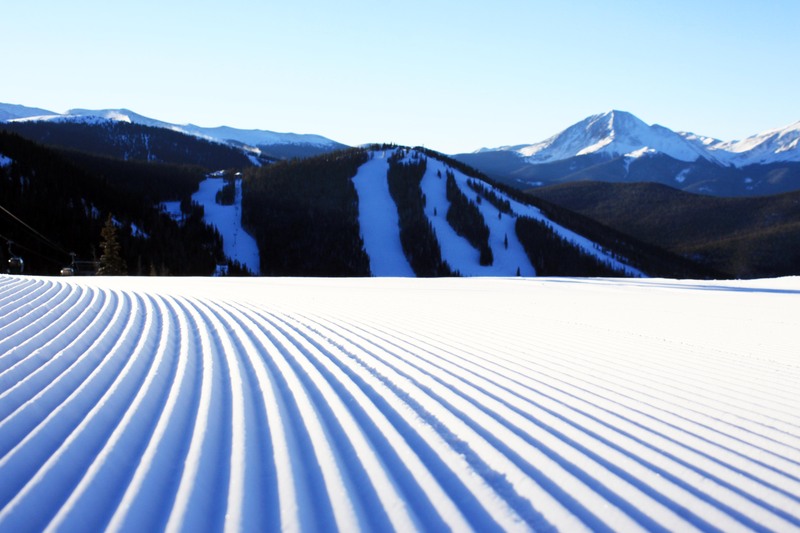 Tell us your favorite groomed trail at Keystone on social.